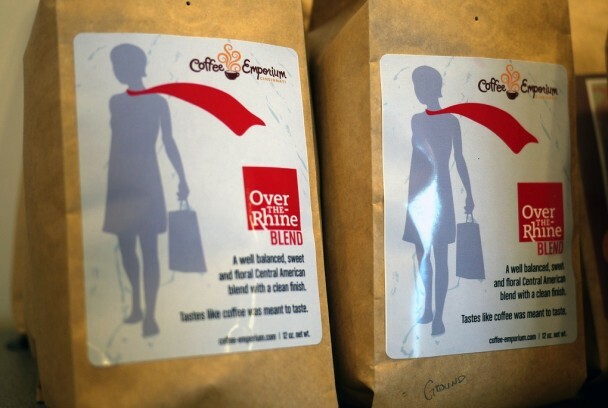 Coffee package design for the OTR Chamber of Commerce in Cincinnati, OH for the 'See, Shop, Dine. Over-the-Rhine' holiday 2011 campaign. Designed under Topic Design Group.